Mission Statement: To serve the English-speaking community in San Miguel de Allende, Queretaro and surroundings with information and advertising services that equal or exceed the expectations of both readers and customers. Vision: To become the foremost English language online newspaper in San Miguel de Allende, Queretaro and surroundings, ultimately growing its business model to the level of franchise targeting Mexican cities with a high Expat concentration. Innovation: Creating and enhancing editorial products and online advertising services. Trust: Build trust with our readers and ensure our customers’ satisfaction. Teamwork: Work together towards improving the editorial offerings and enhancing the advertising products and services for our readers’ and customers’ satisfaction. Honesty: Publish daily news with integrity, truth, and clarity. Objectivity: Always be neutral, never take sides in a conflict or controversy. After five years in Yucatan, we now present you The San Miguel Times. The online newspaper The Yucatan Times began operations on December 4, 2010, created by Mr. Raul Curmina Ponce de León and his wife Silvia as an English language news website with weekly updates. So it remained for 2 ½ years, when a group of Yucatecan investors and expatriates decided to purchase the newspaper. On September 15th 2013, The Yucatan Times begins a new era, appointing a Content Manager to lead a team of editors, updating the site on a daily basis, implementing a Social Media strategy, designating an Editorial Board consisting of prominent members of the Expatriate Community in Merida, and installing offices on Paseo de Montejo No. 475-C (x 37 and 39), Downtown; Mérida, Yucatán. Currently, The San Miguel Times is an online newspaper that targets the English-speaking community in Mexico, as well as English speakers around the world who are looking at San Miguel as their next travel destination or place of residence. The Yucatan Times publishes the most important regional, national and international news of relevance to the Yucatán Peninsula. Lifestyle Realtor, Architect & M.B.A. Greg Gunter with Coldwell Banker SMART is a frequent San Miguel Times contributor who brands himself as “The Dream Pro: San Miguel’s Dream Home Expert!” Published and quoted on Mexican real estate in publications from International Living to the New York Post and The Daily Beast, Greg’s transition from a lifelong career as a retail and residential developer to becoming a Top Producing Realtor in Mexico was a winning career evolution. 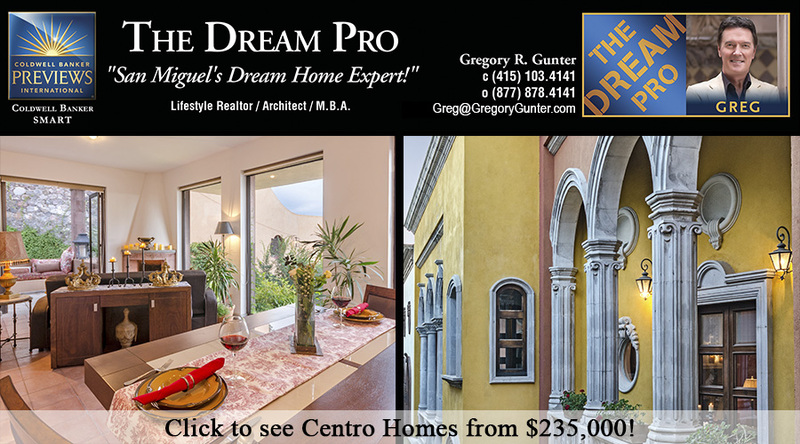 A resident of San Miguel de Allende since 2009, Greg is a Certified International Property Specialist, Diamond Society member and Previews Property Specialist®, awarded the top 4.6% of Coldwell Banker Realtors internationally with a proven track record of working with clients just like you! Questions about relocating to Mexico? Contact Greg at his web site DreamProHomes.com. Jaime Toledo Jaime Toledo is a Chilango epicurean food critic, Mexican gastronomy connoisseur, musician, precolombian reenactor, graphic artist and professional yoga instructor, now contributing for the San Miguel Times. Marina Urioste is currently a student. 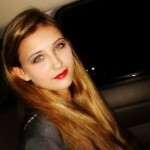 Reading, writing and photography are some of her many passions, also music, universal history and animals. She has won a short story writing contest, and is currently working on more. She lives in Merida, and aspires to travel the world sometime in the near future and write about it. 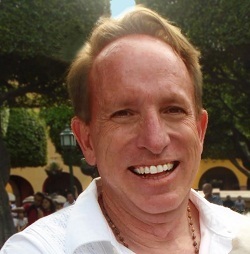 Born in Europe, raised in the Middle East, and a long-time resident in the Americas, including the last 3 years in Merida, Stewart has worked worldwide in the travel, tourism and transportation industries for well over 20 years. His local contacts and global knowledge provide him with unmatched access to the stories ‘behind the stories’ and he likes to take you to the places that others don’t or won’t go. From the Arctic Circle to Tierra del Fuego, from Moscow to Melbourne, from Bergen to Buenos Aires, Stewart has been there. Chances are, wherever you are heading, he knows the score. Traveler of the world. Everything he owns is carried in his backpack and duffel. These past four years, Joel has been working his way down from Yucatan in Mexico through the jungles, rivers, and coastlines of Central America into the massive Andes of South America. Joel is the author of ORANGE CAPPUCCINO – A tale of contemporary romance- the compelling new science fiction novel, GUANJO -A tale of perilous adventure on an alien world and HERMIT-A tale of forbidden romance-. Author Linda Neil is a partner in Linda Neil Properties and founder of The Settlement Company, the first escrow company in Mexico, which is dedicated to processing the trusts and title transfers of Mexican real estate for foreign buyers and sellers for properties located ANYWHERE in Mexico. Ms. Neil is also licensed as a Real Estate Broker in California, is an Accredited Buyer Representative through NAR, and has over thirty five years of hands on experience in all aspects of Mexican real estate. She holds membership in AMPI, NAR and FIABCI and PROFECO Certificate 00063/96. 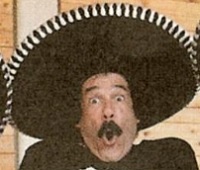 Allan Wall is an educator that resided in Mexico for many years. He currently writes for several websites. Topics in his articles include the contemporary Mexican political scene, history, culture, tourism, and Mexican emigration as viewed from south of the border. 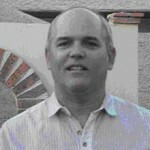 Raúl Palomo has a law degree from the State’s University of Yucatán. 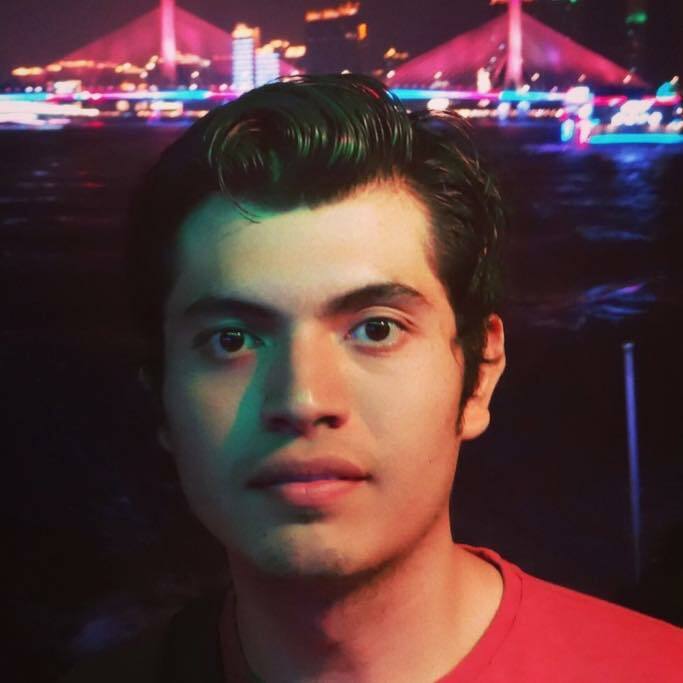 He is currently an Editor for The Yucatan Times, Chinese Teacher, and Chinese culture specialist with studies at Sut-Yan-Sen University and Guizhou University.